Put your mind to work and get rid of the red virus! Can you get rid of the virus in this “bio-logical” game? 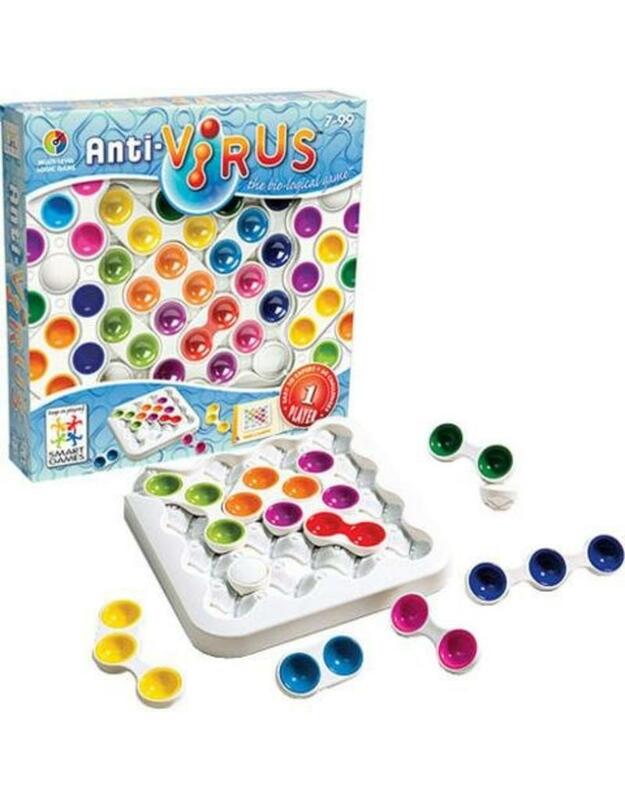 Anti-Virus is a sliding puzzle game with a new twist: tiles that only slide diagonally and can move in groups. Young and old alike are quick to "catch the bug”. Once you’ve started playing you won’t want to stop!